Now into the quarter-final of the infamous Carabao Cup, the surprise package of the Championship this season in Bristol City aim to cause a shock against a winning, yet sometimes vulnerable, Manchester United team. Due to a packed fixture schedule at this time of the season, it’s easy to say that both managers, Lee Johnson and José Mourinho, could brush this game aside to concentrate on their league ambitions, but ultimately it’s still an enticing cup tie for both sets of fans. 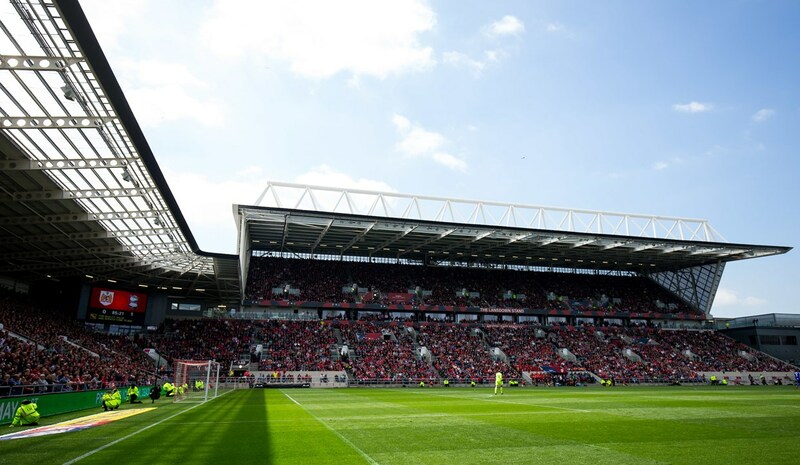 Even in such a busy period of the season, Ashton Gate will be sold out and undoubtedly rocking. A pounding 4-1 win at home to the then struggling Crystal Palace in the 4th round allowed them to reach this stage. That followed an equally impressive 2-0 win at home to Stoke City in the 3rd round showing their Premier League pedigree. However, their knack for beating top-level sides came when they miraculously beat the in-stride Watford 2-3 in the 2nd round (after smashing Plymouth Argyle 5-0 in the 1st round to begin their incredible cup run). No key men to their recent success are missing and integral figures to both their 2014/15 promotion and 2016/17 relegation battle victory still reign. Most notably in their ranks is Aden Flint, a problem at either end for opposition. His stature of almost 6’6″ has allowed him to easily frustrate forwards but also notch an impressive 34 goals in 187 appearances since joining the club just over four seasons ago. Top scorer this campaign with 10 goals Bobby Reid is the team’s focal point and has recent formed a strong strike partnership with Jamie Paterson, who himself had 6 assists so far. The consistency of wide men Josh Brownhill on the right and even more so Joe Bryan on the left is admirable considering the Championship is such a volatile division, lending even more praise for the team that has upset many bigger clubs as of late. Playing a flat 4-4-2 most of the time, the work rate and well-drilled attitude from Johnson’s men is admirable. Finding goals through either sheer graft or sheer brilliance is never a shock as they can adapt themselves well to any situation (one of the many reasons the side are doing so well this season). However, they are vulnerable to sharp and incisive play which has lead to them conceding 27 goals this term despite scoring 50 too. It’s expected that Sergio Romero will start in-between the posts with Joel Pereira on the bench. With sound quality on display in their respective recent games, both Victor Lindelöf and Luke Shaw are likely to once again be given a chance. Youngsters yet first-team members Axel Tuanzebe and Scott McTominay are likely to play given their success so far in the competition. The now clear Paul Pogba could still feature to gain more minutes in preparation for being such a crucial part of the team in the bush period despite the unlikelihood of starting. After much speculation, exiled Henrikh Mkhitaryan looks set to return to the squad in what could be his last appearance for the club is rumours are to be believed. The now fully-fit Zlatan Ibrahimović should start even though Mourinho isn’t looking for too many changes to his lineup. The FA Cup final of 1909 is the biggest duel the teams have had to date, with United winning 0-1 at Selhurst Park. A battle between the two teams has not been played out for 37 years as the last match was back in 1980 as United won 4-0 at Old Trafford. Rumours are that the gaffer bought his counterpart Mourinho a £450 bottle of wine to share in comfort once the match has concluded and the draw for the next stage is complete.